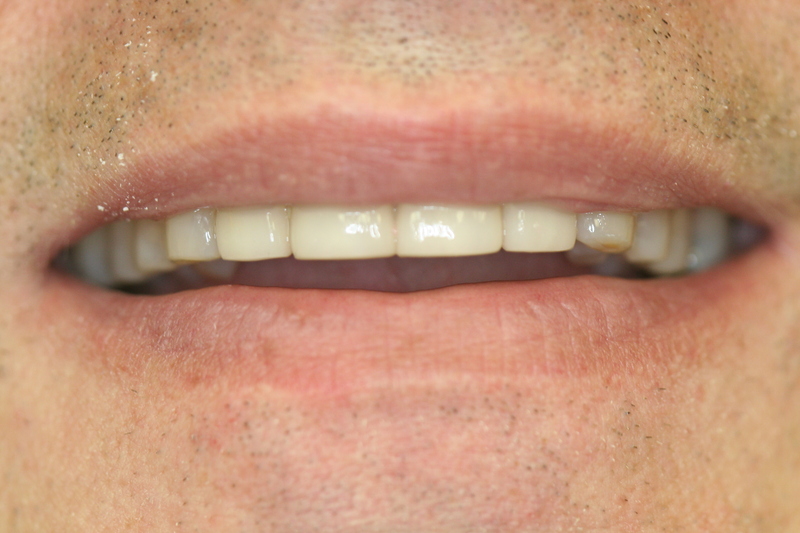 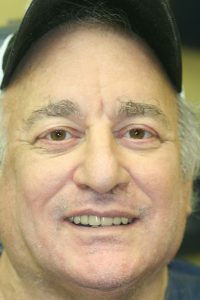 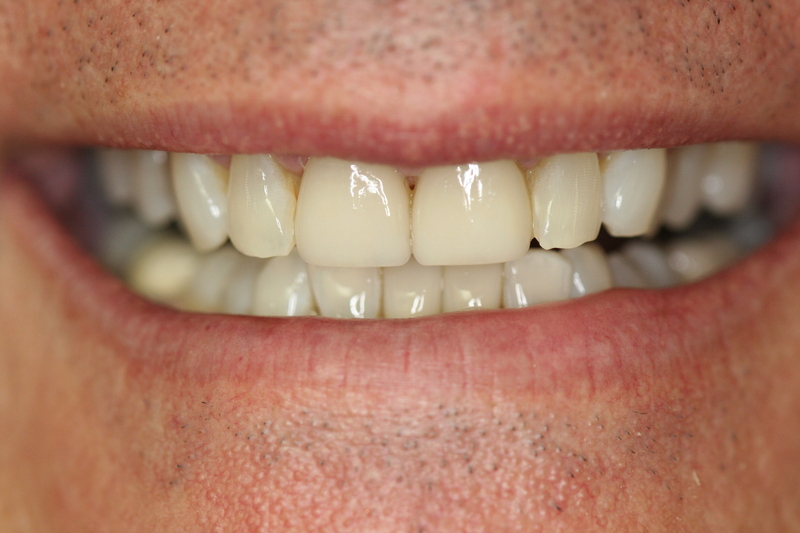 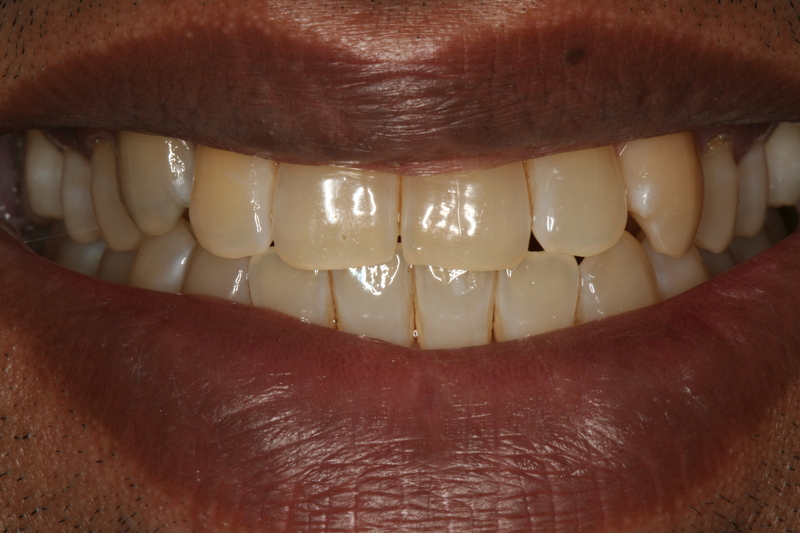 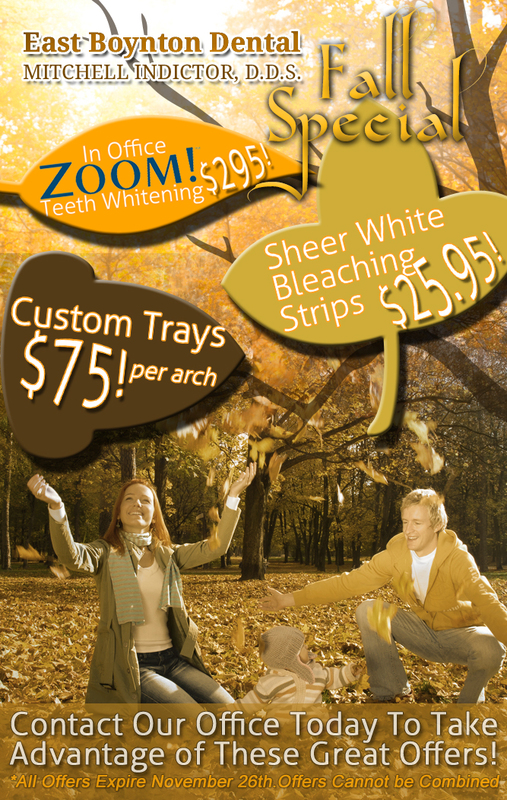 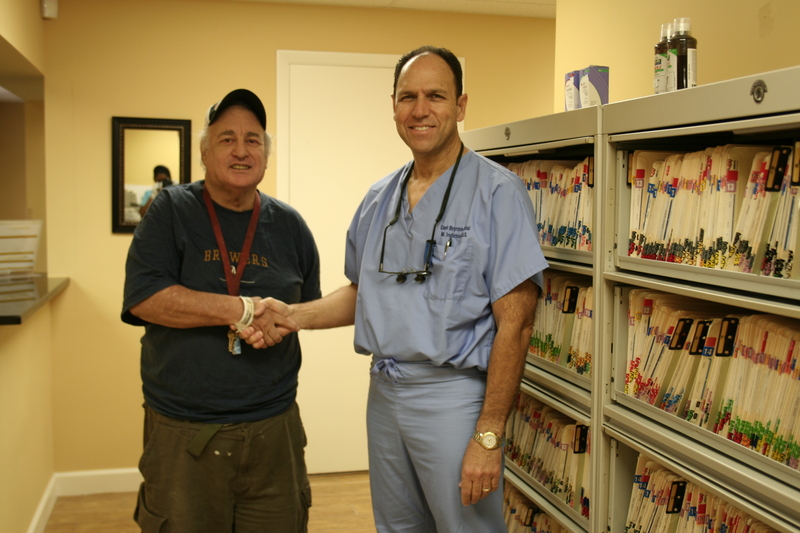 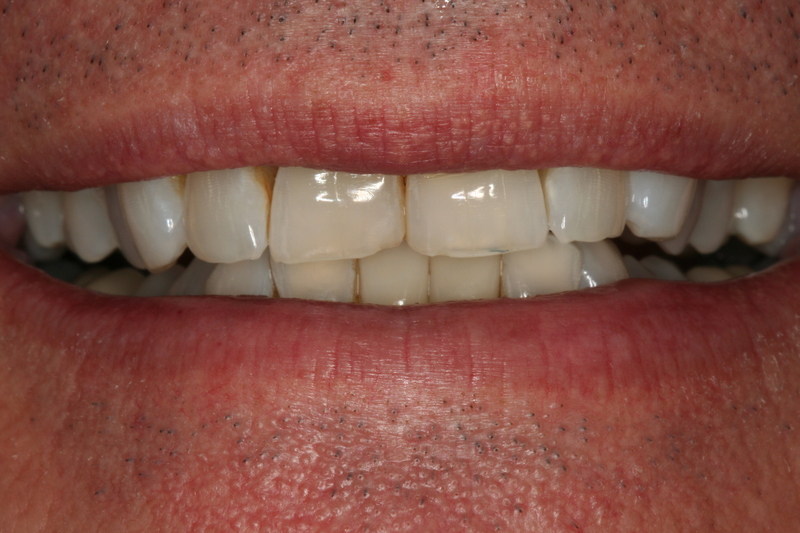 David R., an auto technician with a local automobile sales agency, was blessed with beautiful teeth. 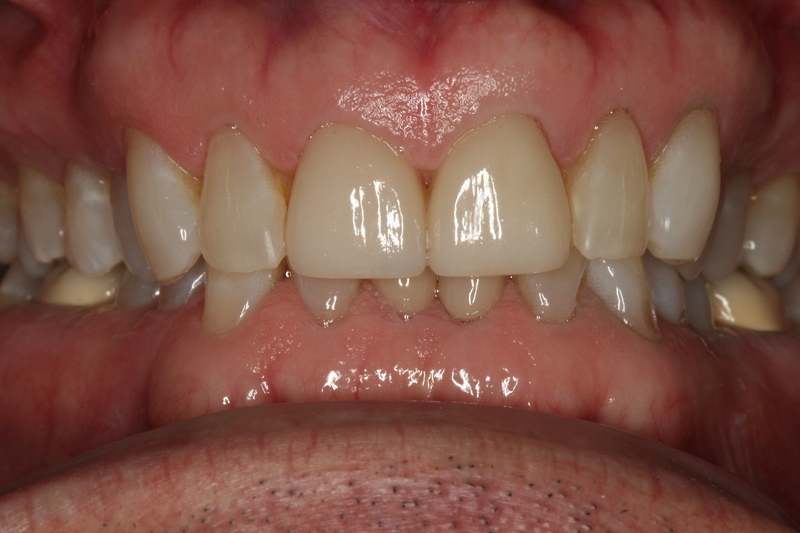 As a teenager he was very active. 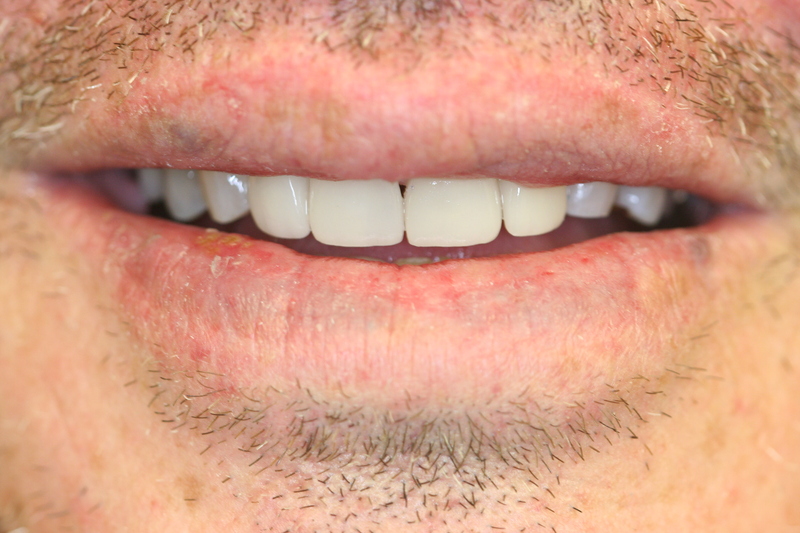 However, one day without provocation, someone took a “cheap shot” at his face. 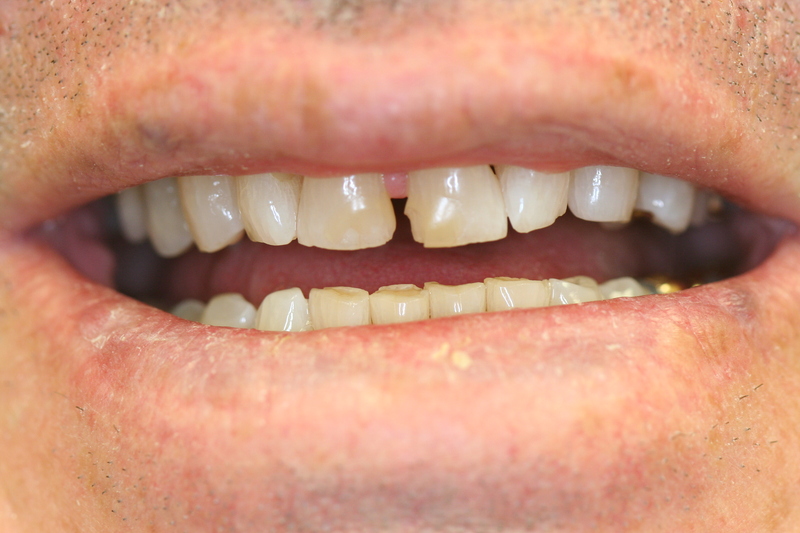 This altercation resulted in avulsing (knocking out) the upper right canine tooth. 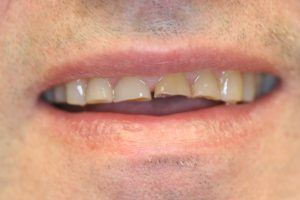 To save the tooth from the sustained trauma, it was reset back into the socket from which it came. 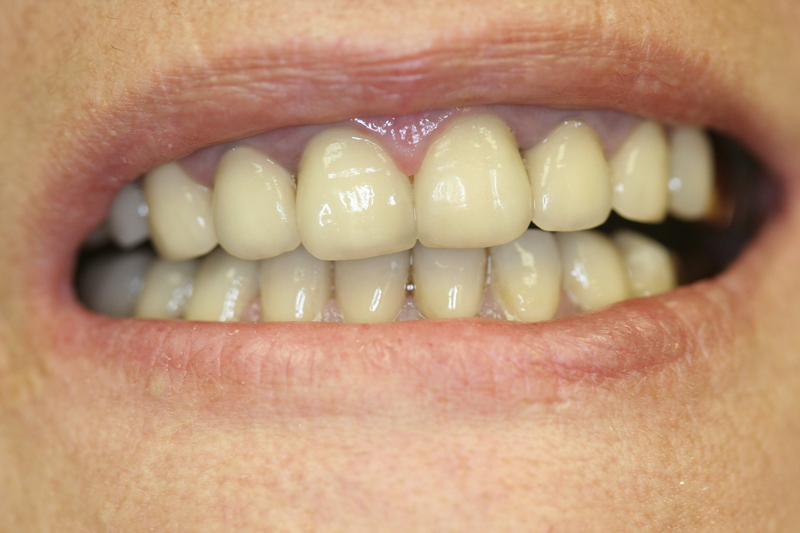 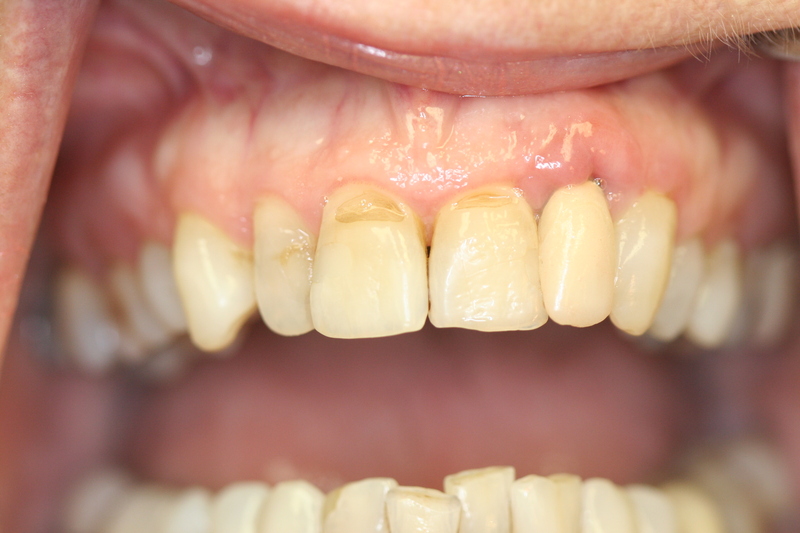 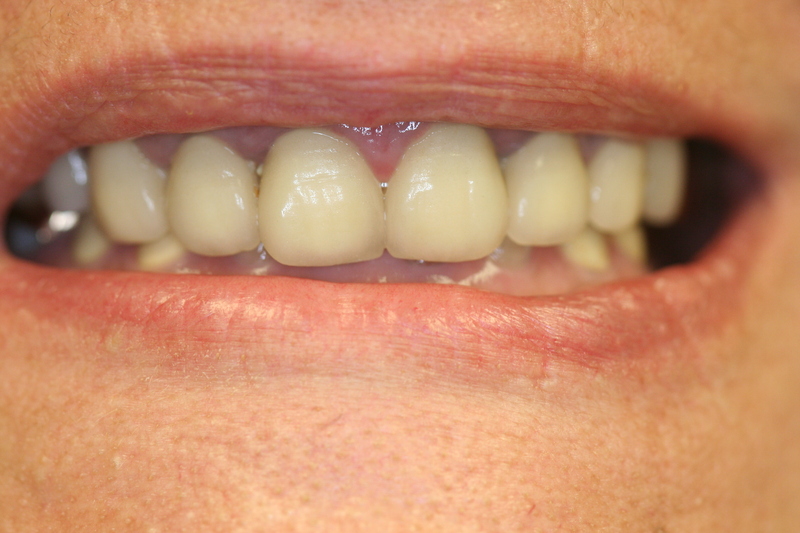 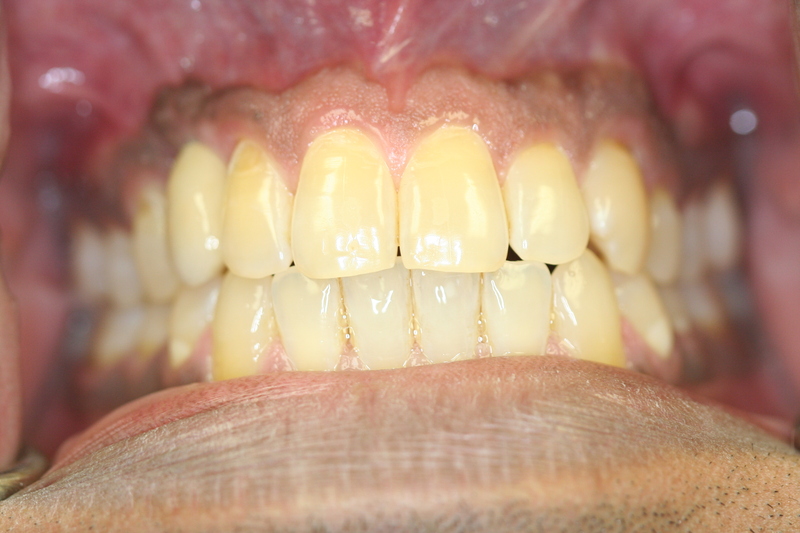 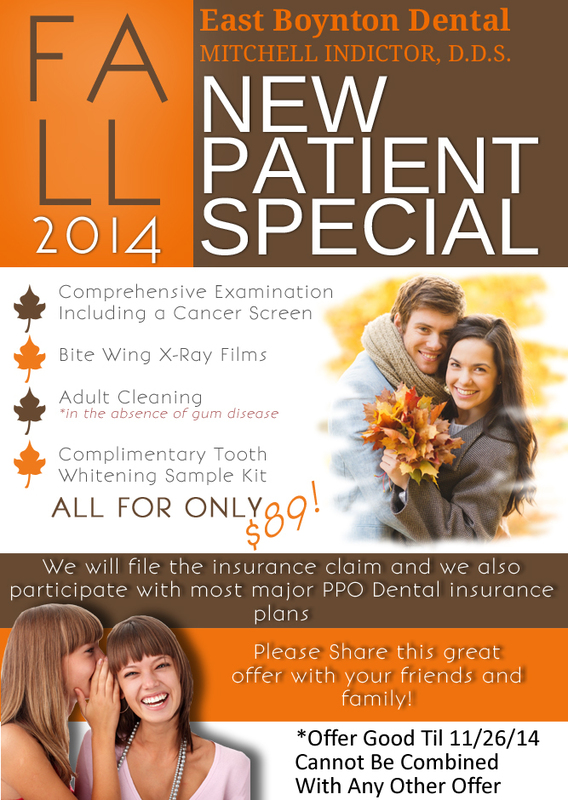 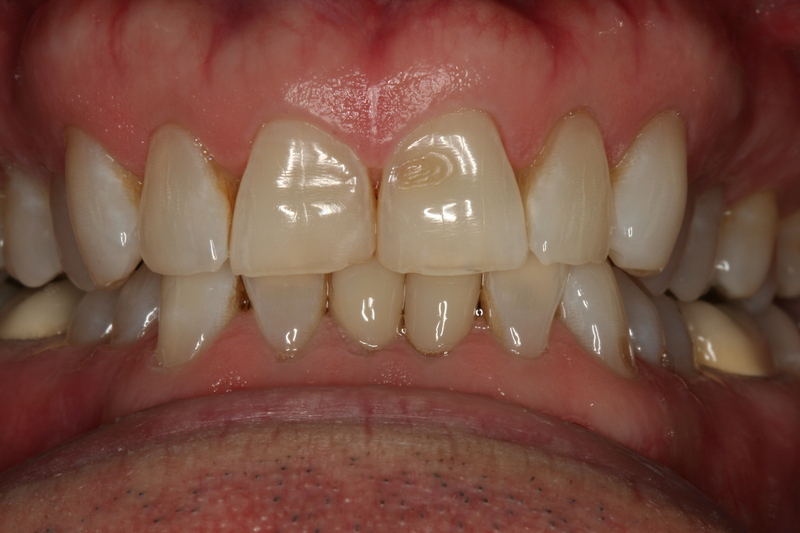 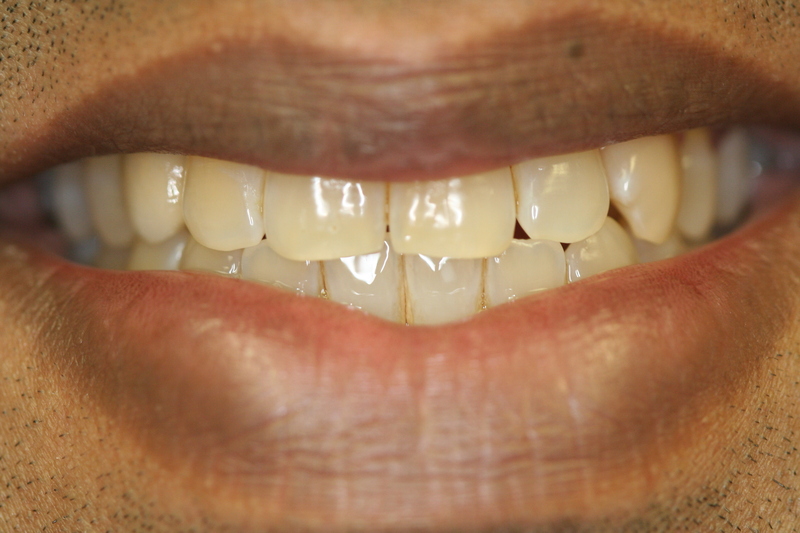 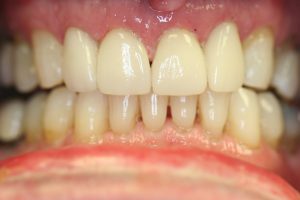 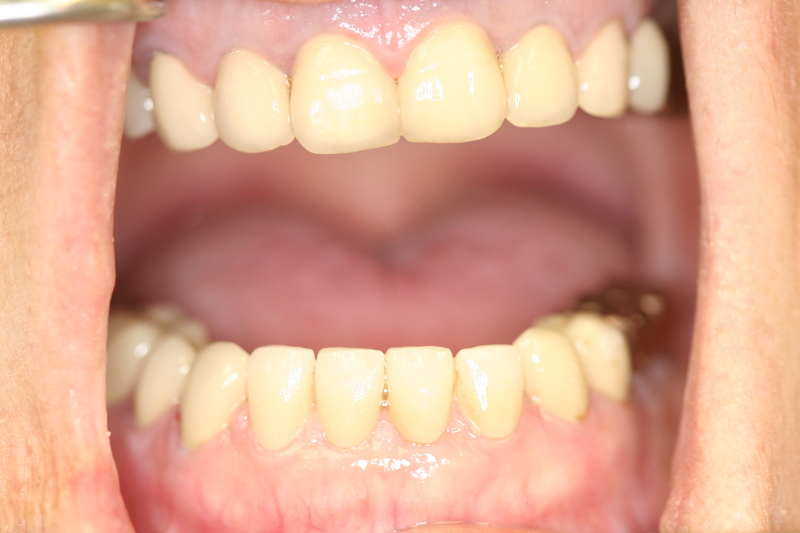 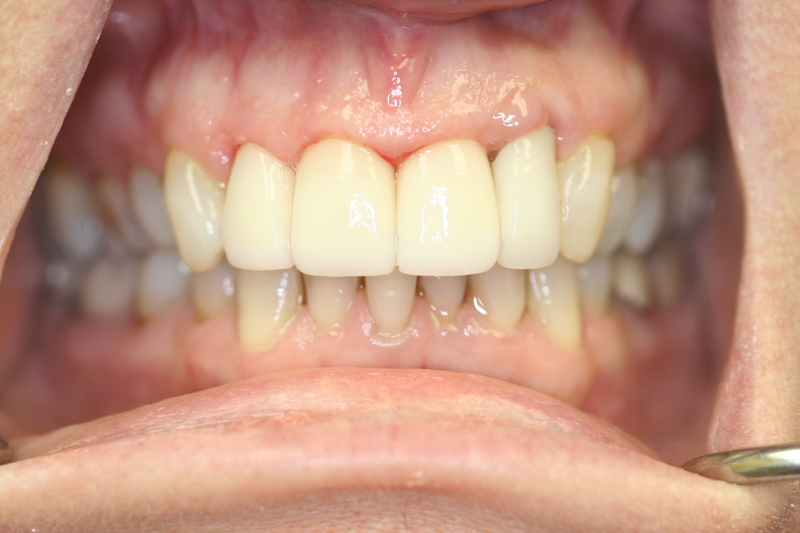 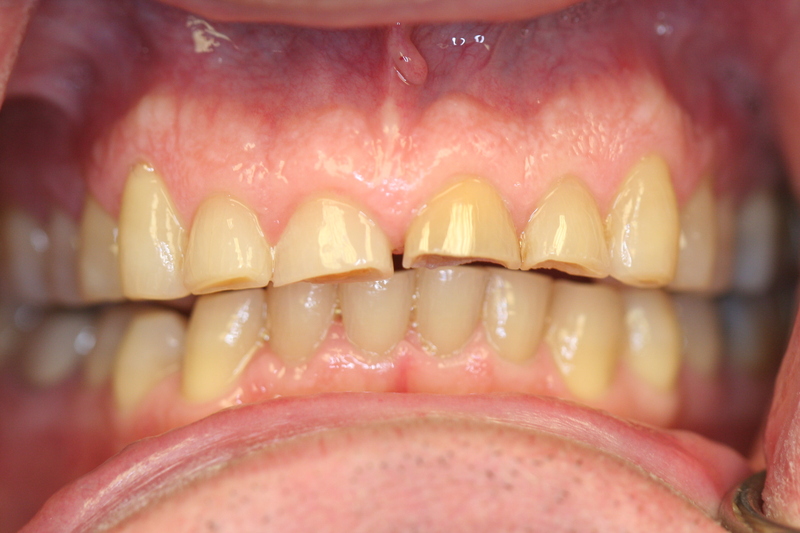 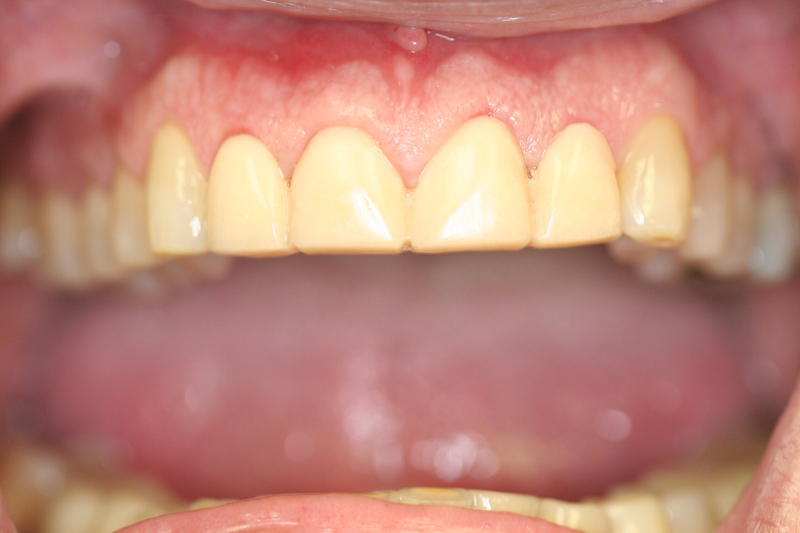 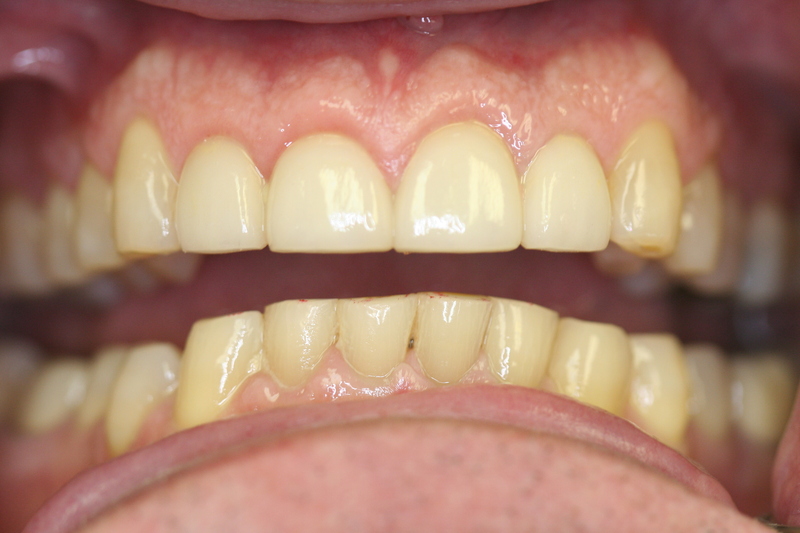 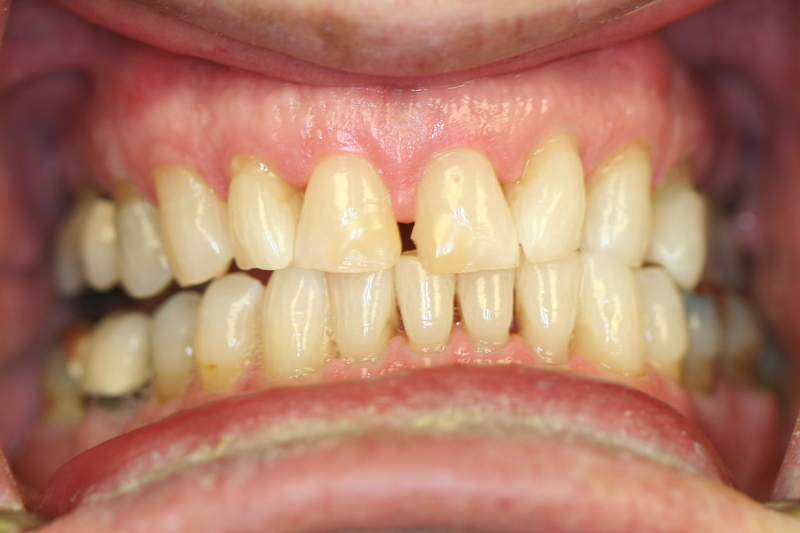 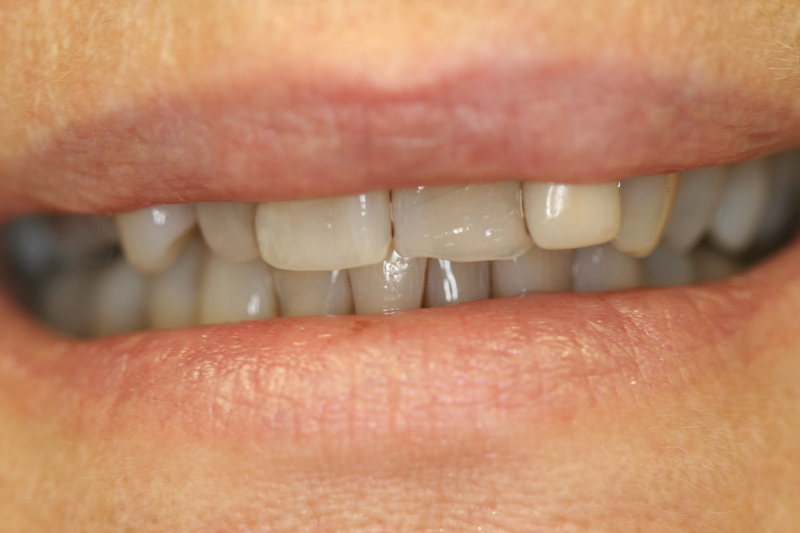 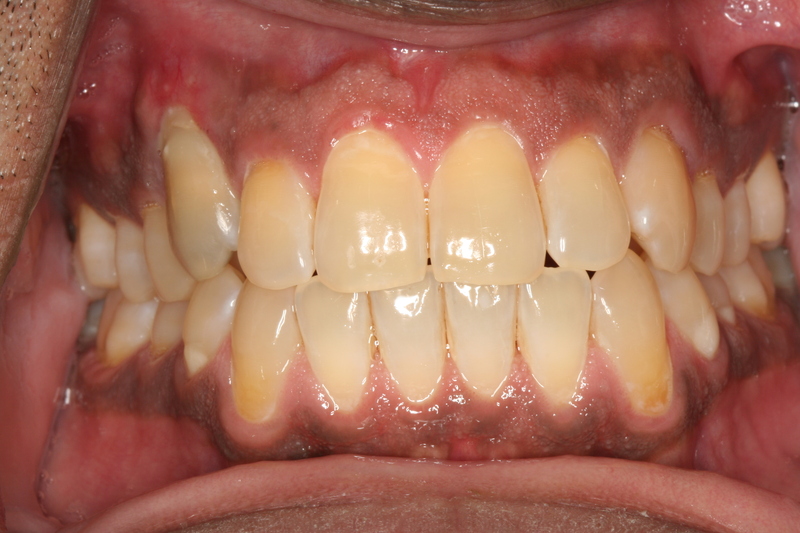 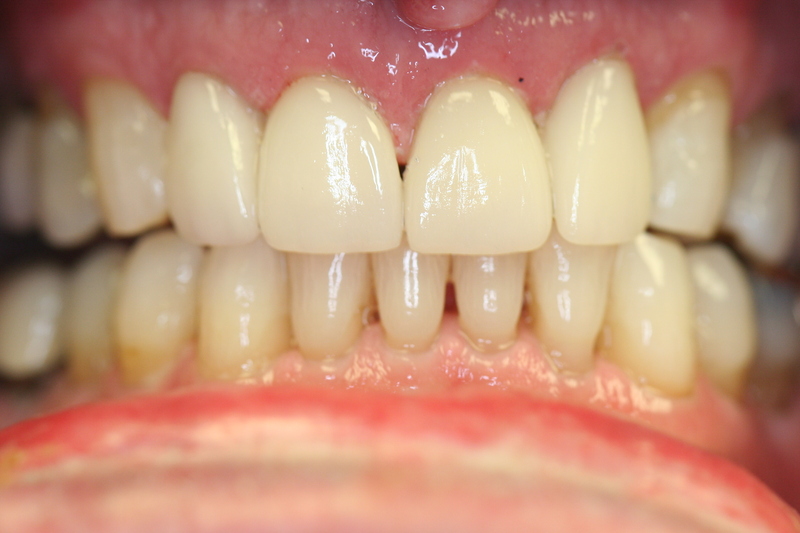 Subsequently, it was treated with root canal therapy and restored. 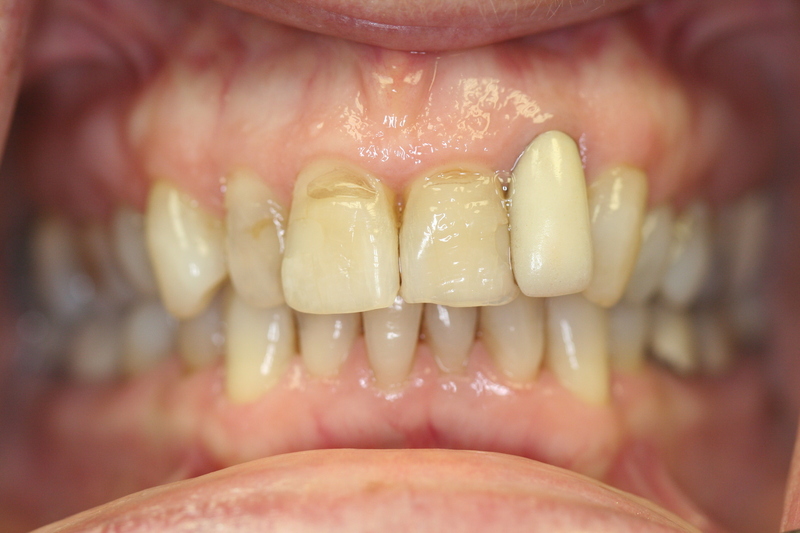 At the time this treatment was the “standard of care”. 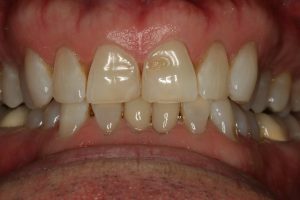 The treatment succeeded; the tooth remained and continued to function as a part of his dentition until David R. reached his late thirties. 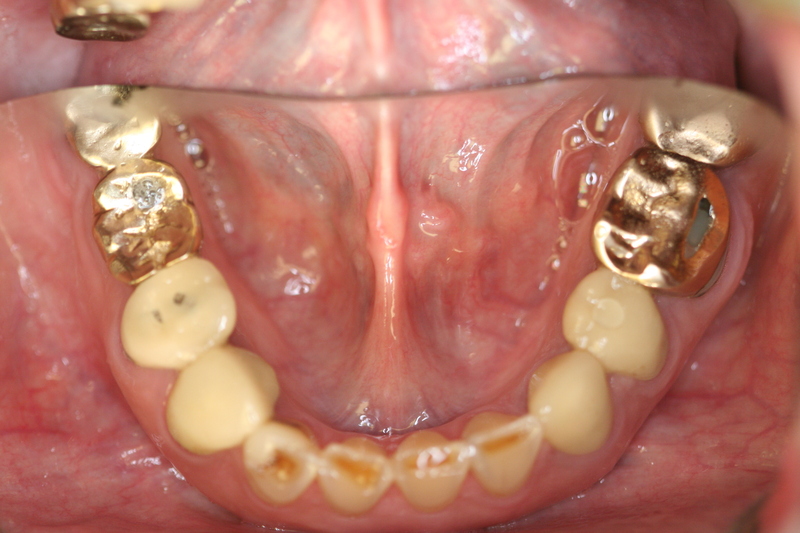 The root of the treated tooth ankylosed (locked onto ) the bone. One day recently, however, David R. heard and felt the tooth crack. When he presented to the office of East Boynton Dental, clinical review and x-ray film study found that the coronal aspect of the tooth fractured obliquely from the root with the fracture running below the bone level on an angle. 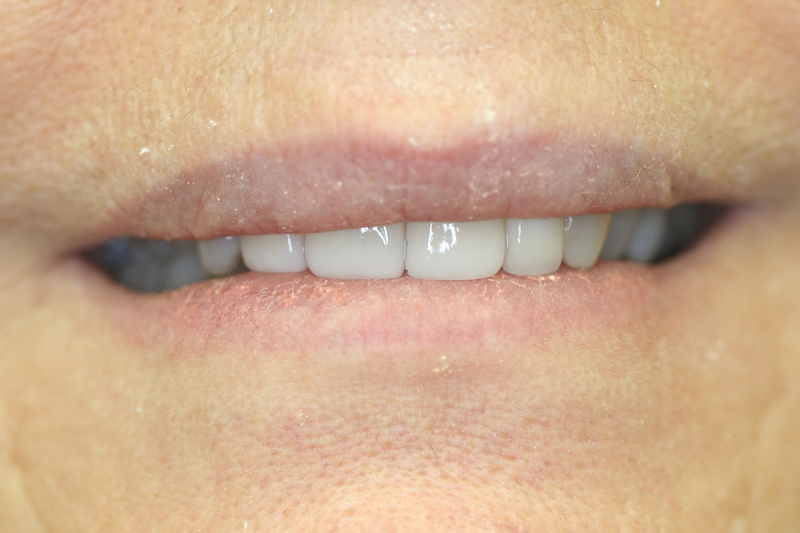 Images below show the cracked canine tooth shortly after presentation with the fracture; it is the canine located on the left side of the images. 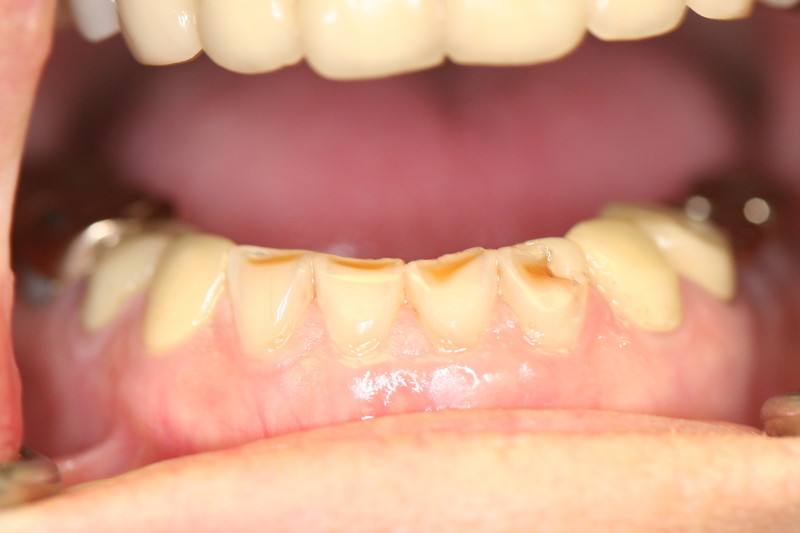 Since the root was not usable, it was deemed hopeless. 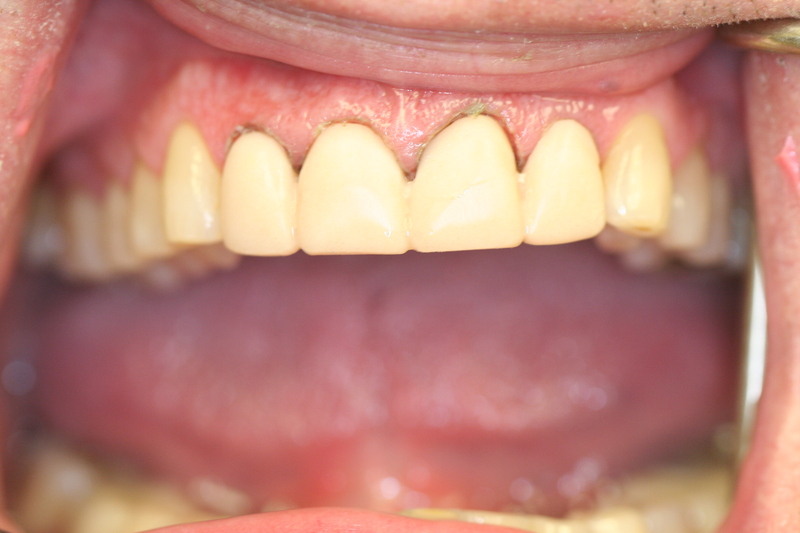 To begin correcting the problem with the canine in the esthetic zone, the coronal segment had to be removed. 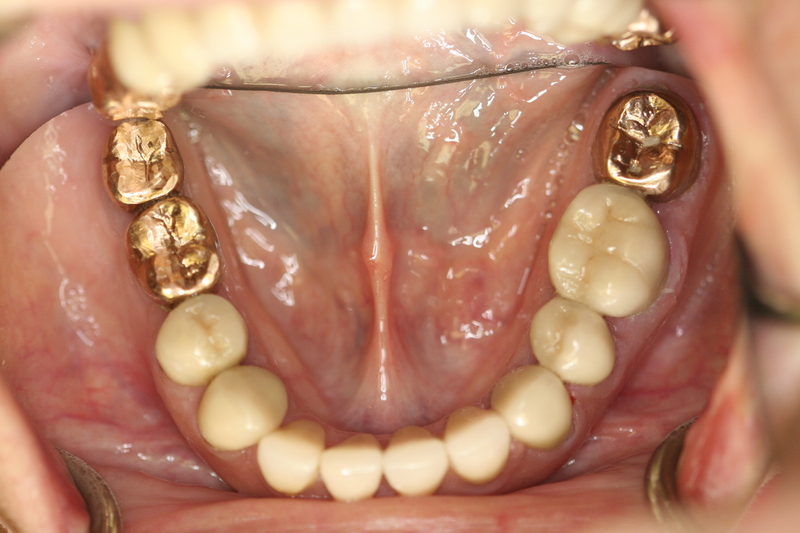 The root was extracted, but in so doing the buccal plate of bone was lost because it was ankylosed to the bone. 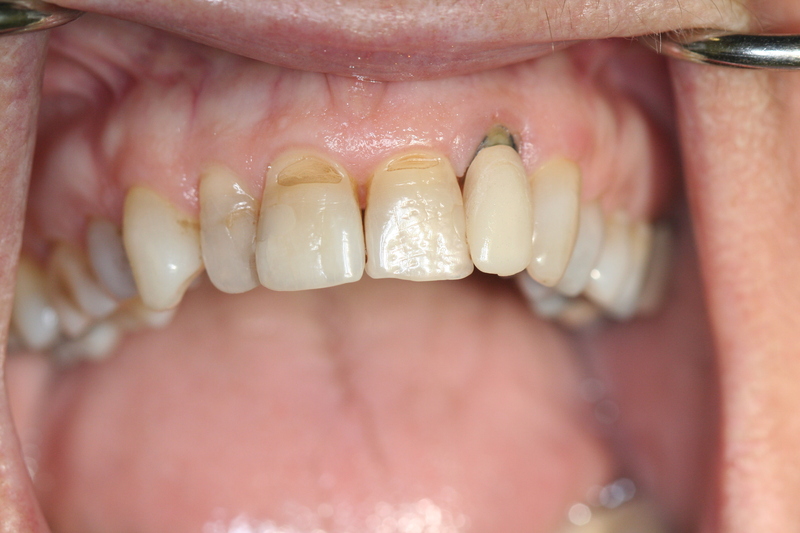 The socket was then grafted with bone and after 4-5 months of healing, an implant fixture was then placed. The implant fixture was allowed 4 months to heal. 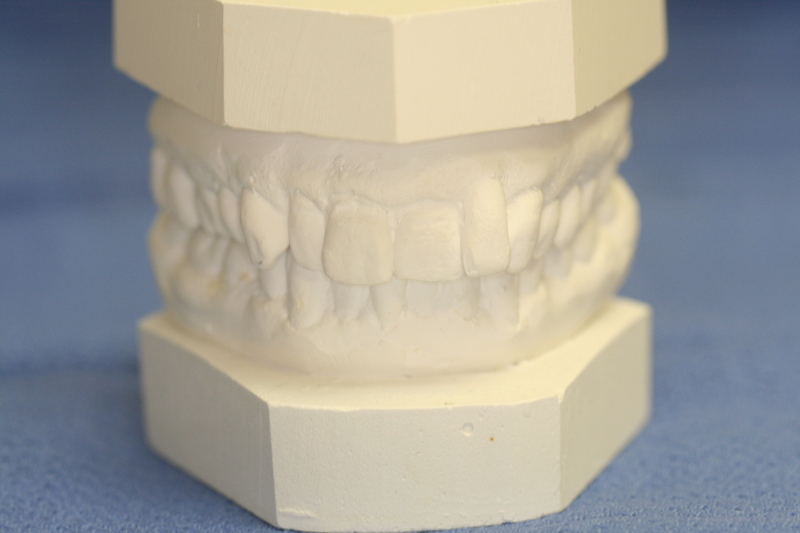 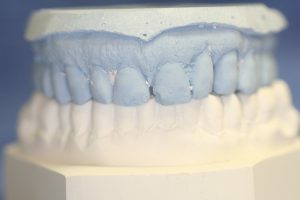 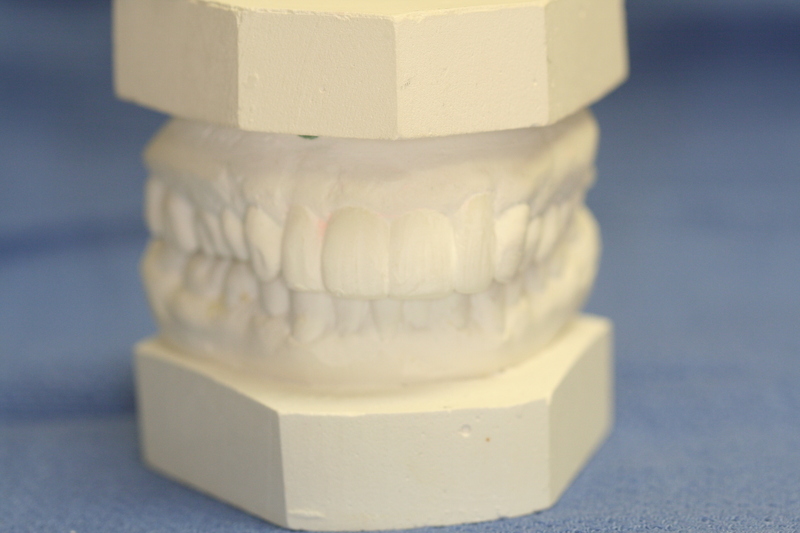 At that point an impression was taken of the implant and its spatial relationship to neighboring teeth. 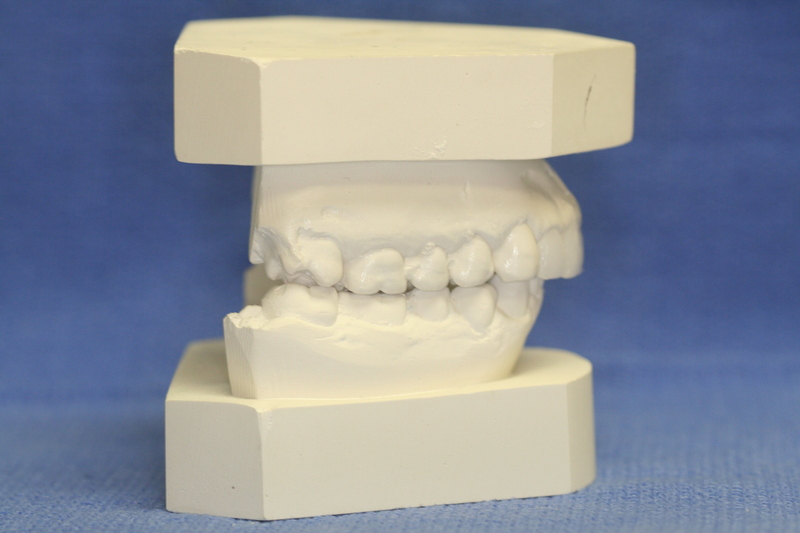 A custom abutment is then fabricated which screws into the implant. 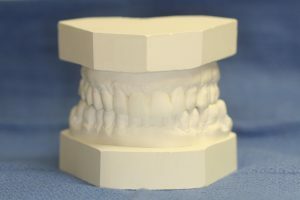 A crown is then fabricated, which sits on the implant. 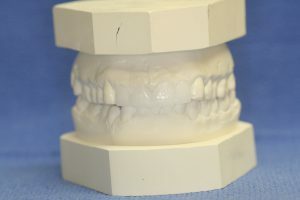 The images below show the completed case. As an observer can you tell that the canine is supported by an implant? 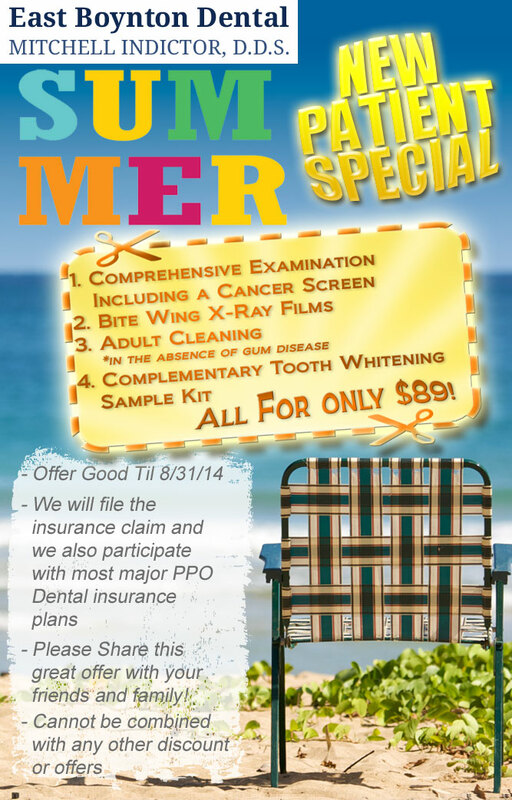 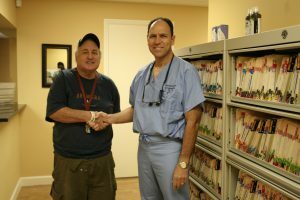 If you would like to discuss this case, or any other case that has been shown in previous posts, please feel free to contact us at East Boynton Dental.